Every time a guest stays at the hotel and checks out, they are emailed a survey to fill out about the hotel 72 hours after their departure. 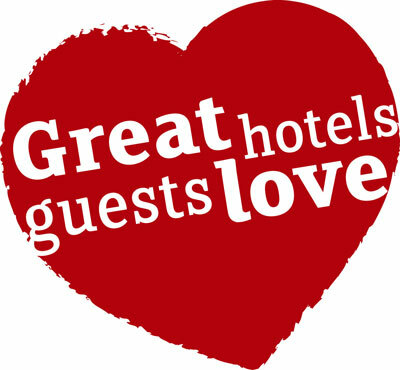 These surveys have hundreds of different questions, based on every single aspect of the hotel, from the quality of food on the breakfast bar to the condition of the pillows in the rooms, to the overall experience they had when staying here. At the end of every month these survey scores are averaged out to create a Overall Monthly Report that tells the hotel how they are doing and if there is anything specific they need to work on to improve scores. For the month of January 2013, our hotel scored a 93% on the overall monthly report. We are currently ranked number 2 out of 21 hotels in our market. We are also ranked well above average for all IHG hotels in the America's. Striving to keep our guest survey scores above 90 is always a continuous goal that we set for ourselves at the hotel. Hearing guest feedback, both positive and negative, and most importantly improving our weak areas is the name of the game in this industry!